Home / Auto Mechanic / How Much Do Mechanics Make? On average, automotive maintenance and repair technicians earn between $45,000 and $61,000 per year, in addition to benefits. Mechanics usually have an hourly wage, but some highly skilled mechanics have a guaranteed minimum weekly wage. With an automotive mechanic’s salary, no need to tighten your belt. What is better than a job that allows you to be well paid by doing something that you are passionate about, such as repairing cars? Be paid to do what you love. There are workshops that also offer a commission to make the salaries of mechanics even more attractive. The profession of automotive mechanic is complex. We present below the job and missions of the automotive mechanic. Find out by what training you can get to access this position, what qualities are required and what salary you can get. Your apprenticeship training may be done in a garage, you will have the opportunity to earn money while perfecting your technique and working to get your training. In addition, there is a strong demand for mechanics at the present time. They therefore have good working conditions. The training offered leading to these different careers also varies. For example, someone who wants to work in automotive mechanics will be able to complete training in this area, whereas the person who wants to deal with industrial vehicles will have to learn industrial vehicle maintenance. Certainly, both will have to be physically fit and not be afraid to get dirty. It is well known, automotive mechanics are dirty, but it pays off. Is the salary really worth it? Who can get this job and how? What about the automotive mechanic’s job now? 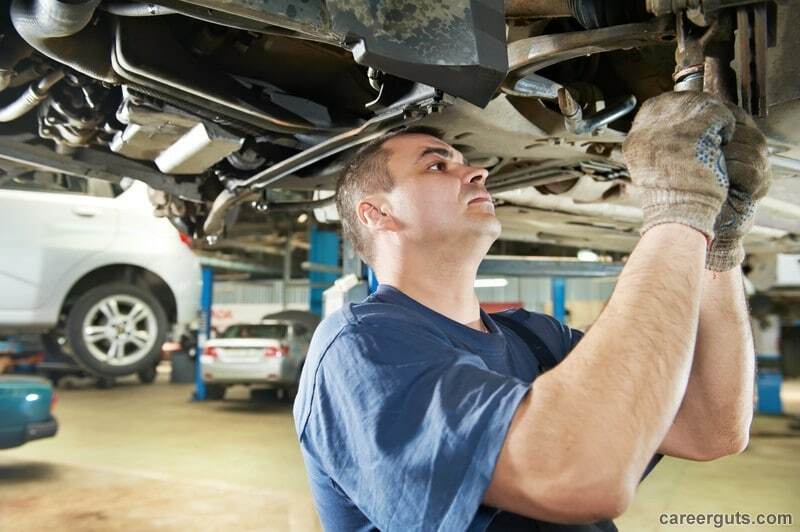 Let us first take a look at the various jobs hidden behind the term automobile mechanic. The first one coming to mind is most certainly the car mechanic. Nothing surprising here, it is the best known and the one which people generally mostly deal with. On the other hand, there are automobile mechanics of all kinds, whether they take care of cars, heavy vehicles or industrial vehicles. 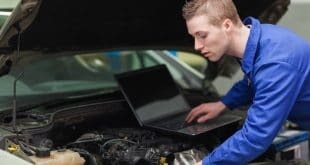 It is therefore important to know what type of mechanic is spoken before determining the type of training required for the job or the salary that accompanies it. The automotive mechanic ensures the functions of a mechanical assembly as well as the follow-up of its realization. He is in charge of repairing a car and working for the company, most often within a workshop. He also manages the work from A to Z. He is responsible for repair work, he advises the company and the customers and evaluates the risks and the techniques used for its elaboration. Finally, he supervises the installation and repair, as well as maintenance. The automotive mechanic can collaborate with many useful and complementary trades, he ensures the appearance and technical operation of the vehicle. It is a job with a high level of responsibility with projects that can be large. He also works on construction sites, automotive workshop sites, mechanics and metallurgy, machinery, etc. In the field of automotive mechanics, the maintenance mechanic plays an important role in keeping the vehicle running. He is responsible for maintaining the machinery and tools in order to avoid any breakdown that may impair performance. This preventive mission consists of regular maintenance, upgrading, adjustment and renovation of equipment. His knowledge of machines and their components allows him to anticipate the anomalies and to remedy them before a breakdown. He also performs a curative action by being able to detect the origin of a malfunction, to assess its severity and to determine the time required for repair. He performs cleaning of parts and all basic operations for maintenance of equipment. He writes the intervention follow-up documents and transmits them to the appropriate services. During each intervention, he ensures compliance with safety rules and constraints. He ensures compliance of equipment with safety, quality and environmental standards. He also does multi-brand diagnostics, air conditioning, windshield repair and all the paints that exist on the market. He can also meet the client to specify the work done. The automobile mechanic is hired by a craftsman (garage), an authorized repairman (agent) or a dealer. He works for a team leader, a workshop manager or directly for the company manager. The mechanic will therefore bring technical and mechanical solutions to the problems encountered. The automobile mechanic carries out the routine maintenance of so-called “light” vehicles, such as an automobile, van or truck. The missions of the vehicle mechanic are to diagnose the vehicle, replace defective parts (windscreen wipers, light bulbs, etc. ), present the repairs to be carried out, carry out repair work (shock absorbers, tires, discs and brake pads, batteries, filters, etc.) and carry out emission controls.